Clutter happens. It happens around your home and it happens on top of it as well. It might be easy enough to clear off a counter or tabletop but cleaning off your roof is a different story. 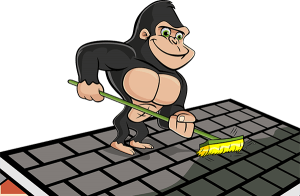 When you need a hand cleaning off your roof, our Gorillas are available to help with our Kitchener roof cleaning and moss removal service. Your Roof: Whats Up There Anyway? Putting up with a wind or rain storm can leave you dishevelled or wet but it can leave your roof covered. As trees sway out with the breeze, they lose leaves, sticks or even full branches. With nowhere to go, these items fall onto the surface of your roof. Organic debris can’t do anything but sit and accumulate water and rot. There is always the threat of inorganic material as well. In theory, there can be just about anything sitting on top of your roof, but whatever it might be, our Gorillas can take care of it for you. In order to get a decent result from your Kitchen roof cleaning and moss removal, it is important to keep your eyes on the prize. Unfortunately, as clutter and debris accumulates, it can be tough to see the overall condition of your roof. When this is the case, there is the threat of invasive plant growth, with moss in particular. Moss retains moisture, spreading over and under shingles and damaging the material underneath. Trying to remove moss away from softened decking can cause unnecessary wear and tear on your property. 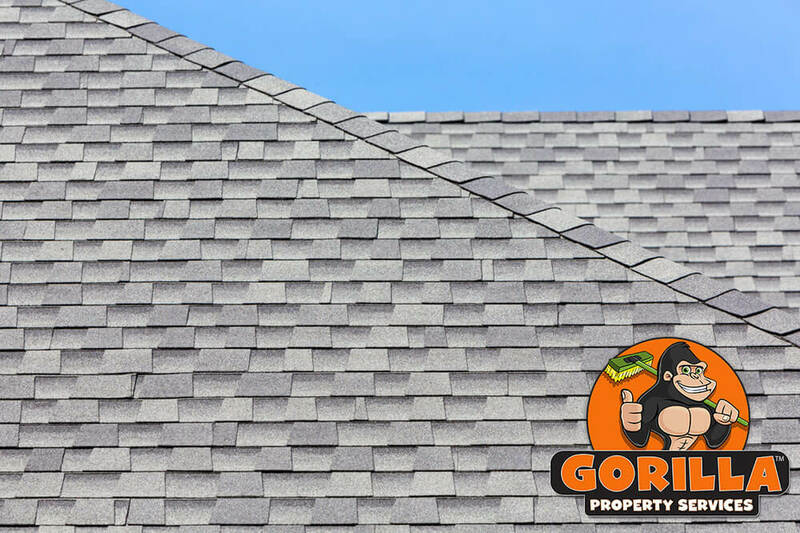 Maintaining the integrity of your property is a top priority for our Gorillas and that is why we approach your roof carefully and safely. When you want the best results for your property, look no further than our Kitchener roof cleaning and moss removal.